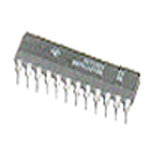 5101 CMOS RAM chip as used on older games including Bally, Stern, Williams solid-state. 22 pin chip. Replaces Williams # 5A-9017 and similar others.